Had he not died an early and unexpected death at the age of 32, Bruce Lee would have turned 70 years old this November 27th. We can only imagine what he would be doing if he were still alive, but what is for certain, his influence as an icon of cinema and Asian culture continues to this day. The 2010 installment of the Tokyo International Film Festival included a program of films that pay homage to the late star, as well as remastered prints of the handful of performances he was able to complete in his short career. One of the films in the program is The Legend Is Alive, the story of Long, a Vietnamese man who has mental and physical disabilities due to Agent Orange exposure. His mother tells him his father, who he has never met, was the famous Bruce Lee, as a way of giving him courage and to inspire him to learn martial arts to protect himself. When his mother also dies, he is left to fend for himself as he attempts to take her ashes to America, where Bruce Lee is buried, unaware of how far it actually is. 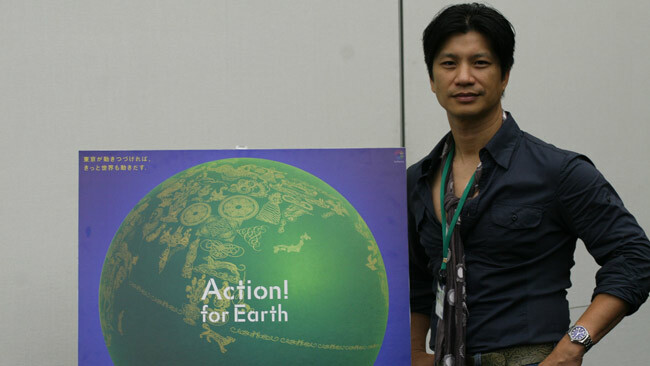 Long is played by Vietnamese-American actor Dustin Nguyen. Nguyen’s family immigrated to America shortly after the fall of Saigon, and were the first Vietnamese family to settle in a small Midwestern suburb outside St. Louis. 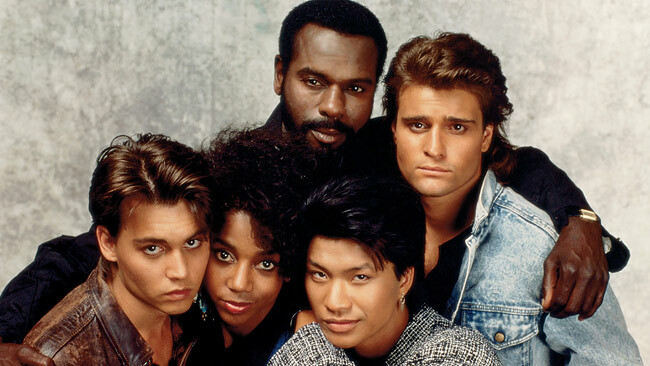 Nguyen started acting in small roles in TV shows such as “Magnum P.I.,” before landing a regular roles on the hit show “21 Jump Street,” which also helped start the career of Johnny Depp. After appearing in films in the US and Little Fish with Cate Blanchett, which was filmed in Australia, Nguyen has recently returned to the country of his birth to help revitalize the Vietnamese film industry. I had the chance during the Tokyo International Film Festival to speak to Dustin, who had just come through festivals in Pusan and Vietnam. He talked about new opportunities for Asian-American actors, working on a budget in Vietnam, and the enduring influence of Bruce Lee. This year marks 25 years since your acting debut—Congratulations. It is hard to believe so much time has passed. Since the time you first started with small roles on Magnum P.I. and other shows, how do you think the situation has changed for Asian-American actors? Certainly there have been improvements, but how to quantify that is a bit tricky. When I started out, there were fewer good roles. When I say good roles, I mean ones that venture more into three-dimensional aspects of the character. There were a lot of one-dimensional characters, which were usually some kind of martial arts expert, and in what I refer to as “The Chinatown Episode.” Every show that is on the air for a while eventually does a Chinatown episode. When I started, you would see the same actors in those roles. In recent years there have been changes because of the influx of Hong Kong action stars like Jackie Chan and Jet Li, which has created a lot of work opportunities for other actors. But I question the quality of the roles, especially for Asian men in movies. I think TV makes more strides in that department, because TV has more mass influence. For instance, “Lost” had a Korean couple, which I thought was wonderful and quite progressive for network TV. I do wish the male character, who is played by a friend of mine, Daniel Dae Kim, could have spoken more English on the show. But in terms of an Asian character, I think they went into so depth, which was nice. If you look back over these 25 years, I think it has been a long, hard road. There have been improvements, but it has not been as fast as we would like to see it. To this day it astounds me that I wound up on that show! It was very progressive, because the character was written so that it could have been played by a white actor or a black actor. When they were casting, they saw everyone, including Asian Americans. After I landed the role, the writers treated that character in a very progressive way. After I was cast, they did try to infuse a little Asian character into the role, but it was still a character that was not dependent on his ethnicity. Thinking back on it, I think I was very lucky. Nguyen and the cast of "21 Jump Street"
The film you have brought to the Tokyo International Film Festival, The Legend is Alive, is part of a program to celebrate the 70th anniversary of Bruce Lee’s birth. Does he have any special significance for you as an actor or a movie icon? As a cultural icon, sure. I mean, what Asian child in our generation grew up without the influence of Bruce Lee? For better or for worse, he iconified the image of the Asian-American male, as a virile, strong, intense presence in the cinema world. For me, he was initially a kind of super martial arts star. But when I got into the business, I found a strong aspect of his that really motivated and inspired me, which was that he really fought against the system. He had to go back to Asia to make his own mark on his own terms. He overcame the obstacles that were presented to him in the Hollywood system at that time. At that time, there were really no opportunities. That aspect of him, his rebelliousness, his resilience, his will of steel, really inspired me in terms of how I walked my own path in my career. The flipside of it is that every Asian man is expected to be a super martial artist, an invulnerable superman, which is getting a little old. And you paid tribute to Bruce Lee in your Levi’s commercial. That was a great opportunity for me. It was a lot of fun and it was a great homage. It was also quite progressive, as it was the first time Levi’s used an Asian man in a campaign. And the director, Jonathan Glazer, was wonderful. There was some criticism when it first came out, as some people didn’t realize that it was a tongue-in-cheek homage. There was an Asian man doing martial arts in a laundromat, so we were throwing all these stereotypes in one pot. But they were missing the point that it was a tongue-in-cheek but respectful tribute to Bruce Lee. Your role in The Legend is Alive is probably the most challenging in your career so far. Definitely. There was a lot of pressure on me relating to how to create a character who is mentally challenged. 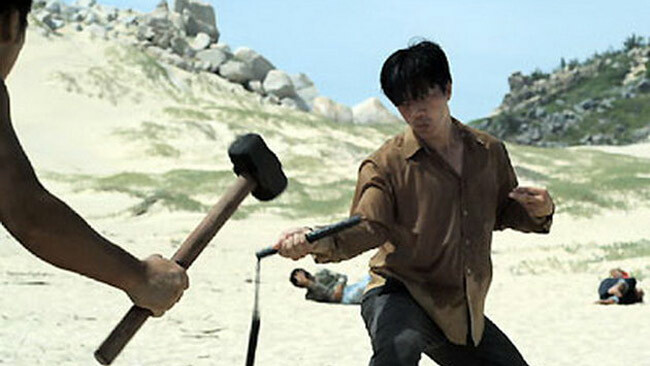 It has been done so well by so many great actors and that was intimidating, even though it is only a Vietnamese film. You have great performances such as Tom Hanks in Forrest Gump and Sean Penn in I am Sam, and many others. So there was great pressure but also excitement for me to come up with a character who has his own path. There is a bit of genre blending, as martial arts are thrown in as well. I spent a lot of time trying to understand the different consequences of mental disabilities and illness, from Downs Syndrome to Alzheimer’s to turrets to create a character that is believable and still works within the framework of the script. In the script, he is obviously able to learn martial arts and to control his body to some degree. So it was a challenge of how to balance that with how his body has been affected by Agent Orange. It was also interesting to discover how people who have mental disabilities due to Agent Orange think. They do not think linearly like we do. They are very visual, and see what is around him, and visualize each word. By the time they put it together, there is a delay in their speech, which is mistaken for stuttering, but it is not. So the nervous system is compromised, but then it is a question for me as to how much it should be compromised. If it is too compromised, then it is not believable that he has mastered martial arts. So that was one part of the challenge. Then the actual fight choreography was difficult. He has a physical disability in his left arm. So I had to work around that and create something that is cinematic and still stay within the bounds of his disabilities. Throughout most of your career you have been acting in English, but what is it like to act in Vietnamese? It is very intimidating. My first film in Vietnamese, The Rebel, was like a crash course on how to speak Vietnamese, but it was something that I had been dying to do for a long time. The Rebel is set during the French Colonial period, so the Vietnamese is very stylized, almost as different as Shakespearean English is to what we speak. With The Legend is Alive and my latest film, I really have to dial into the pronunciation, so I do not sound like an overseas Vietnamese, which I am sure I did when I first started. But the good thing is that I already speak the language. It is not like I have to learn French and then try to act in French, which I cannot imagine. For me it was a matter of spending a lot of time looking up words I didn’t know. It is no different than doing Shakespeare. Even if you speak English, you have to look up a lot of the words and their various meanings. And then you have to get to a point where you are comfortable with these words and it becomes an organic part of your performance. It is a lot of work, but it is very satisfying for me. And how about working with a film crew in Vietnam as opposed to Hollywood or Australia or the other places you have worked? The technical aspect of filmmaking, in terms of lighting and so on, is the same everywhere in the world. It is a matter of the level of experience the artist or the technician has. In Vietnam, we make between 8 and 12 movies a year, maybe 15 in a good year, but it is still very small. So the crew does not have the chance to practice their craft like someone in a country that makes 300 or 500 movies a year. That is always a challenge, especially when you are producing. You are also limited in terms of budget, because the country’s box office is only so big. You are limited by the budget, and therefore have less shooting days, but on the flipside, you are forced to be more creative. Creatively, there are wonderful, talented filmmakers in Vietnam who have a lot to say, and are emerging in the last three years. Vietnamese cinema is going through a re-emergence that I am very optimistic about. We literally have nowhere to go but up—we have been asleep for the last 30 years. Is this movie available on DVD anywhere?